Hotels near the U.S. Open book up fast and early. 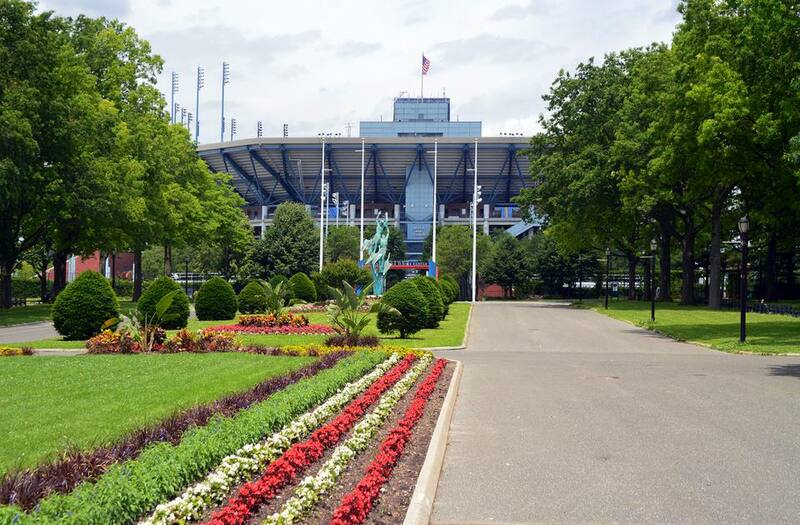 If you are a serious tennis fan, or just want to save a few bucks, the best borough to stay for the U.S. Open is Queens. Here are the Top 4 picks for U.S. Open hotels. The New York LaGuardia Airport Marriott has been a top choice for tennis players and TV crews covering the U.S. Open for years. The hotel is across the street from LaGuardia Airport and offers a quick shuttle to the U.S. Open and Arthur Ashe Stadium. Expect quality rooms—maybe not as large as you would hope—but the service is superior and prices are cheaper than Manhattan. The Holiday Inn is the only hotel that can actually bill itself as within walking distance from the U.S. Open (and Citi Field, the new Shea Stadium). But the walk there involves crossing a major, urban thoroughfare so it's best to take a car from the hotel. The hotel is also very close to a subway station that makes easy for you to explore Manhattan once you've gotten your fill of tennis. Located in downtown Flushing, it's the best hotel in what's a fairly middle-class Chinatown neighborhood and its a quick train ride from the hotel to Flushing Meadows. This is the best nearby hotel if you want to experience a real Queens neighborhood or eat dim sum before a day of tennis. The hotel caters to the Chinese and Korean business community. There's excellent food—modern takes on Western and Eastern culinary classics—at the hotel's Deluge Restaurant. This Sunnyside hotel isn't as posh as the others, but it's a convenient and clean choice in a safe neighborhood. The hotel splits the distance between the U.S. Open and Manhattan and it's only a 5-minute walk to the subway. Try the local Sunnyside restaurants for some of the best ethnic eats in Queens. Coffee can't get any fresher than at Baruir where it's roasted inside the small shop. The motel is nothing special, but your time at the U.S. Open will be even more special for the money you save and the neighborhood you experience. Need more options? Run a search on Kayak for LaGuardia Airport hotels to see more options convenient to the courts. Most hotels near the airport can help with a shuttle to the Open or arrange a taxi ride. Farther by car and less convenient to Flushing Meadows are the JFK hotels. Public transportation from the JFK hotels to Flushing Meadows is not easy, but it's definitely cheaper than staying in Manhattan. If you do want to stay in Manhattan and have the money for it, then start with our list of cheap, recommended NYC hotels.